Dr. Chonway D Tram always appreciates feedback from his valued patients. To date, we’re thrilled to have collected 54 reviews with an average rating of 4.94 out of 5 stars. Please read what others are saying about Dr. Chonway Tram below, and as always, we would love to collect your feedback. Always a great place . From receptionist to hygienist who is so gentle. Mostly a straightforward dentist. I would highly recommend!!! Robin did a very thorough job. Went in for wisdom tooth extraction. Procedure was quick and almost painless. Overall, great experience! All the stuff was so nice! I love this place! I always feel welcomed! I love the environment and everybody there! The amazing outcome says it all! Always a pleasure! Thank you guys! HIGHLY RECOMMENDED!!!! My experience with the Hygenist was great. She was always asking how I was doing & very helpful with my questions or concerns. Dr.Tram is very nice answered all my questions. Staff was so great with my little 2 year old for her first check up. 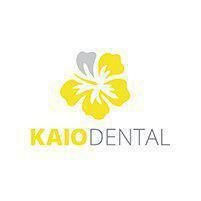 Ultra clean facility, friendly staff and pain-free service. That's why I drive the extra miles to see Dr. Tram! Everyone in the office (including the doctor) are friendly and knowledgable and skilled! Dr. Tram is the only Dentist I feel comfortable with and trust. He truly cares about his patients. I have had some extreme toothaches and his been able to resolve them all. The best part is I feel no pain when he does work on my teeth. Truly the best. I recommend him all the time. You are by far the best dentist I have ever been to. The entire appt process from inception of appt to walking out the door is incredible. I refer you to everyone I know. Thank you fitting me in at the last minute! My first root canal and filling done by Dr Tram. Everyone in this office is super friendly and comforting, and Dr Tram made this procedure as comfortable as possible. I have let my teeth go because of bad experiences elsewhere, but no more. Highly recommend this office to anyone looking for a great dentist. It was my first time and they took care of me with a last minute appointment! Fixed my crown! I had an excellent experience and highly recommend Dr. Tram. His staff is friendly and Professional. I Love the cleanliness of his office and valuing my time by staying on schedule. This is definitely my dentist of choice. I had a good experience at my first appointment today. Dr Tram was real easy going and down to earth. I liked his staff too and would recommend this dental office. This has been the best transition for me!!! The staff are awesome so are doctor's. Everyone has been so patient and understanding of my phobia. Thanks a bunch you guys! !